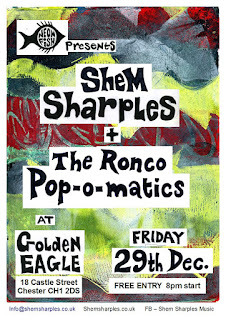 We are playing at the Golden Eagle again on Friday 29th December. This will be the launch party for our new album And The Train Rattled Along. The CDs are all ready and waiting to go. This is a proper release using professional glass mastering etc. The sleeve and booklet are professionally printed too. The 12-page booklet contains artwork plus all the lyrics to the songs. 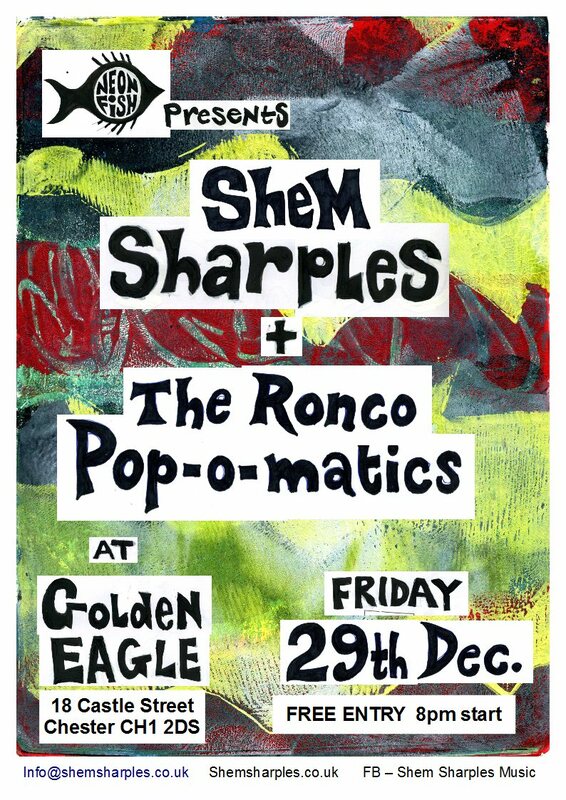 On the night we will be proud to present The Ronco Pop-o-matics as support, starting at 8-30pm. They are a Chester band featuring, yes, Thor Brown on bass, plus Tim Wilday on vocals and laughter, Earl on guitar, and Milt Kinder on percussion. They write all their own material and bring happiness and sunshine with their fun shows. Do come down and enjoy a great atmosphere, inspiring music, and a nice alternative festive season treat! Bring all your buddies! We will also be making an appearance at the fantastic Chichester Arms open mic this coming Monday night (18th Dec) as a warm up. The event starts at 8-30pm - and there’s no knowing what time we will be on, it is an open mic after all!